The Incredible Hulk and The Mighty Thor, two of Marvel’s most powerful super heroes, unite in this limited edition San Diego Comic-Con 2017 Exclusive Marvel Tiki Tiki Totem Set by Entertainment Earth! What’s really cool about these Marvel Tiki Tiki Totem wood figures is they actually stack using the interlocking sections on the top and bottom of each piece to form a unique, customizable totem. 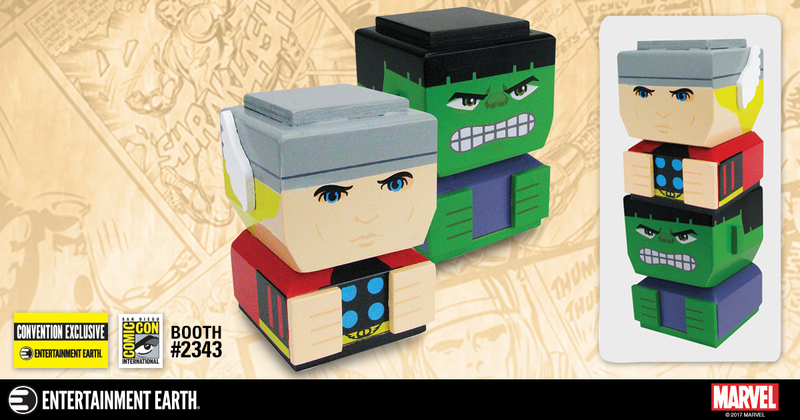 Each figure stands 3” tall and features 360 degree artwork to ensure they look fantastic from every angle. Although the Hulk Tiki Tiki Totem can be purchased individually, this is your only opportunity to add Thor to your Tiki Tiki Totem collection! 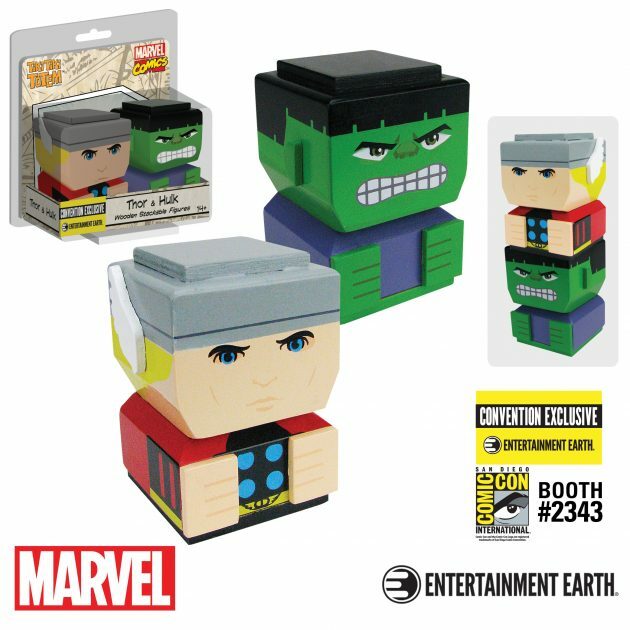 Limited to 1,008 pieces, each San Diego Comic-Con 2017 Exclusive Marvel Thor and Hulk Tiki Tiki Totem Set features a holographic sticker on its packaging with the production number. This fun and interactive collectible set can be purchased at the Entertainment Earth SDCC booth #2343 or pre-ordered now online at EntertainmentEarth.com for $17.99 here.